In pondering what I’m about to suggest, I’ve realized that a lot of this goes back to my childhood. If not my childhood, at least around the time I was in high school. This was the time I discovered an artist, a filmmaker, and an author, all of whom I still love. Howard Philips Lovecraft. 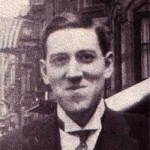 I don’t remember how or why or when I first heard of Lovecraft. 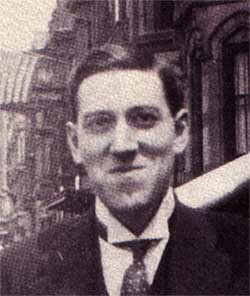 I know the first time I actively and purposely decided to sit down and read Lovecraft, was in high school. It was either At the Mountains of Madness or The Doom that Came to Sarnath that popped my Lovecraft cherry. I don’t recall. I do remember frequenting the local Waldenbooks, and waiting for them to get each volume I was missing. The Ballantine Del-Rey paperbacks with covers by Michael Whelan were my gateway. I still love this art, even if it didn’t really have much to do with the content of the stories. This is less a dismissal than a preface to the ultimate point of this post. David Lynch. I think the first film of his I saw was The Elephant Man. I heard rumors about some film of his called Eraserhead, and finally managed to track down a copy from the local video rental store (Ricky’s TV and Video, as I recall). 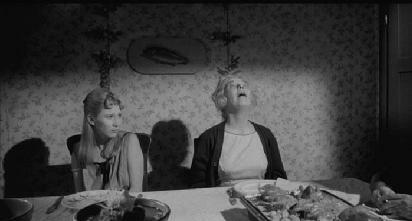 Eraserhead was (and is) unlike anything I’d ever seen. I read Dune by Frank Herbert in high school, and am one of those people who actually like’s Lynch’s film version (I’m also watching the documentary Jodorowsky’s Dune at the moment, and aching for that version, as well). Shortly afterwards, I saw Blue Velvet. Let’s just say, that other than Wild at Heart, I’m a huge David Lynch fan. I was 9 years old when Alien came out – far too young to see it in the theater. I remember my neighbors saying it was one of the most terrifying films they’d ever seen at that point. The pictures I saw in Starlog magazine made me very very curious about it. Especially the design of the alien creature, which was unlike anything I’d ever seen. Was it alive? Was it a machine? Somehow both? Neither? There were ads in the back of Starlog, ads for art books (expensive art books that are still, expensive, alas) by Han Ruedi Giger, with titles like Necronomicon, depicting an awful lot of body parts that had somehow become inseparably joined with mechanical things. It was all horrific, yet oddly fascinating, and even beautiful and serene. Most of it looked like nightmares. Terrible, beautiful nightmares. Again, I was hooked (and now I wonder about the threads – Giger worked on Jodorowsky’s version of Dune, a film later directed by Lynch, and Giger’s art collection Necronomicon, of course, evokes Lovecraft). All three of these gentlemen are artists whom I hold very dearly. Randomly, WordPress seemed to get stuck at this word count while I was typing, just now. Hmmm. “Lovecraftian.” Nor does namedropping Cthulhu, the Necronomicon, or what have you. Let’s honor the creativity of the author whose work we are trying to compare to Lovecraft, by not comparing them to Lovecraft. Lovecraft should not be a catch-all reference to describe the Weird. Writers who explore similar themes should be treated on their own merits. Let’s discuss cosmic horror, The Other, existential dread, and cold and uncaring universes! I’m just saying there might be a better way to do it at this point. When an author dies, it’s natural for his or her fans to wish for more from them. I’m sure at least a few of us would love to hear the news that a stash of forgotten manuscripts by H.P.L. had been found. Until that happens, though, let’s stop looking for “the next Lovecraft.” There is no “next Lovecraft.” There doesn’t need to be. “Lynchian” may not be as actively used as “Lovecraftian,” but I do hear it, and often inappropriately when describing (you guessed it), Weird Films, strange events, TV shows, etc. God help us all, if it actually were. I feel like chicken tonight. Chicken tonight. Weird Things happen. I get it. Believe me, I could tell you stories. But not every weird show or film or event is “like something out of a David Lynch film.” Again, Weird is being equated with one person and his work. In a way, it’s flattery, I suppose, but again, l think it cheapens the work and creative process of the person being compared to Lynch. Lynch is a master at what he does. And I guarantee you that the person/film/tv show etc. being compared to his work, is actually nothing like his work. I have yet to see anything genuinely “like something out of a David Lynch film,” other than David Lynch’s films. And I’m okay with that. Again, I think our desire for “more” (this time, from someone who is thankfully still with us), leads us to seek out more David Lynch-style experiences than actually exist. 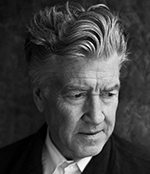 So, we use a shortcut, in hopes we can convince ourselves that “Lynchian” is far beyond Lynch, when, in fact, it isn’t. Lynch may be Weird, but not all Weird is Lynch (or Lovecraft, for that matter). “Giger-esque” is another misnomer, especially considering how many artists have either been inspired by him, paid homage to him, or blatantly ripped him off. Giger’s “biomechanical” style has so saturated our unconsciousness (like a face hugger implanting us with its ovipositor), that it’s hard to tell inspiration from homage to ripoff. Using “Giger-esque” to describe something, like the examples above, broadens Giger’s reach into realms that just aren’t his. There may be people working in a biomechanical style, and they may even be working with some of the same tools – but they aren’t Giger. They can’t be. H.P. Lovecraft, David Lynch, and H.R. 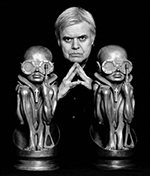 Giger are, and were visionaries. Their work touches us deeply, tickling parts of our psyches that we don’t know we have until they bring them to our awareness. As with any pleasant and enjoyable experience, we want more. But we either can’t have more, or we must wait for more. So, in the meantime, we try to convince ourselves that other things are just as good. There are some things that are just as good. But they’re not the same as. They should be enjoyed for their own reasons. It isn’t fair to those being compared, or those being compared to. I am totally okay with these three adjectives dying. Not because I hate Lovecraft, Lynch, or Giger. But because I love them.